Gift of Life is a non-profit organization that recovers organs every year for those in need. They are also partnered with the Secretary of State of Michigan to oversee the entire organ donor registry. 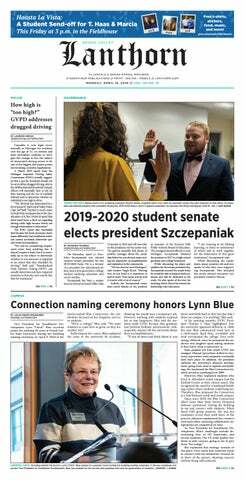 Grand Valley State University’s Gift of Life Coordinator for the Student Nurses Association (SNA) Faith Barzyk said that they try to educate and register people through different tabling events in the Kirkhof Center. Barzyk said that as future nurses, this is a very good program to be a part of because they get further education on organ donation and know how to share that information to families in the future who might be going through the process. On Monday, Jan. 28, a speaker from Gift of Life was supposed to come to GVSU to discuss the Gift of Life campus challenge, but due to poor weather conditions the event will be rescheduled for a later date. Allison Gilium, the speaker from Gift of Life, will give a brief presentation of the organ donation process and the importance of the challenge. The event will also be LIB 100 and 201 approved. “I’m excited for Allison to come speak because she is someone who is actually from Gift of Life and she can actually go into depth about everything,” Barzyk said. She wants the challenge to leave a positive effect on GVSU because it is getting students involved in something bigger than just our university. She also said that when you educate one person on the topic, they can potentially spread that information with their friends and family, so it can leave a greater impact than just GVSU students. “Through SNA we are bringing awareness to the organ donation process and trying to educate people as much as we can,” Barzyk said. Bringing awareness to this event is very important because a lot of people have stigmas about organ donation. She wants to educate people more on how the organ donation process works and how it can be very helpful for others. The different Michigan universities participating in the challenge have already registered about 300 people within the first week. Barzyk said that even if GVSU doesn’t win, she is happy knowing that they were able to make an impact.